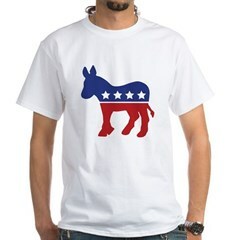 It’s the democrat donkey in red white and blue. Red, white and blue and an elephant too! Great retro future artwork. Zoom in to see the terrific details.